On July 25, 2015 I attended a family wedding in New Lanark, a village near Glasgow in Scotland. New Lanark is one of the most important sites of the British Industrial Revolution. 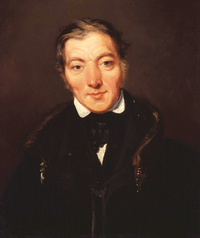 It is where Robert Owen (1771-1858), manager and then owner of a cotton mill, introduced his radical social experiments in the treatment and education of workers. As opposed to the then-prevalent and entirely self-serving belief among the ruling classes that the poor deserved what they got, Owen believed that people were the products of their circumstances and that if they were properly treated, the poor would not be prone to vice, drink, and disease. By today’s standards, Robert Owen was a terrible employer. According to the tourist information I received, he employed children as young as ten, and they worked ten and a half hours a day, six days a week. But by the standards of the day, he was a truly revolutionary reformer. At the time it was not uncommon for children as young as four to work in factories in extremely dangerous jobs, fourteen to sixteen hours a day seven days a week. In 1816 Owen also established the first nursery school in Britain. That’s probably one reason why the bride at the wedding—the daughter of one of my cousins--chose this site. She is a former nursery school teacher who now assesses student teachers. The children of Owen’s workers entered the schools he provided when they were as young as 18 months, and they continued their education until they were ten or (if their parents could afford to keep them out of the factory) until they were twelve. For some reason Owen believed especially in music and dance for children. He also opposed corporal punishment of children. He also established an adult education institute for his workers. Compared to the British policy toward the poor at the time, Owen was a radical reformer. Nor did he confine his efforts to the cotton mill he owned. He lectured on social reform well into the nineteenth century, and he also helped establish some of the first trade unions in Britain. My guess is he probably had far more influence on British social thought than Karl Marx and Friedrich Engels, two German-speakers who would not have been integrated into British society as Owen was. As it happens, when I visited New Lanark I was also reading Alison Light’s book, Common People (Penguin 2014). 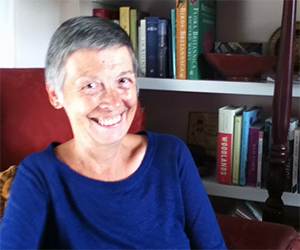 Light is a British social historian who decided to trace four lines of her ancestry, through all four of her grandparents. There weren’t many records of them, as they were indeed common folk, not the aristocrats fictionalized in Downton Abbey or self-indulgent artists like the Bloomsbury crowd that we often take as representative of British history. Light was born in 1955. One of her great-grandmothers spent the first eight years of her life in a workhouse and died in an asylum for the “insane.” Workhouses were appalling institutions where the poor were warehoused, given minimal if any food, and denied education, fresh air, or any form of recreation. Families were also separated. The idea was to make life so wretched for the poor that they would leave the workhouse, thus not being a charge upon the parish. Some of Light’s ancestors worked in the eighteenth-century needle trade, manufacturing needles in their homes, risking blindness from poor lighting or shards of metal flying into their eyes. Many others led peripatetic lives, travelling all over Britain in search of work, enduring periods of unemployment and sickness without any assistance from their rulers. Light’s own father, born in the 1920s, had to leave school at 13 to go to work, even though he wanted to stay. Light makes clear that life for common British people was extremely difficult. Only after WWII did it become possible for people like her, from common families, to enter university. Indeed, only after WWII was any serious effort made at social reform, despite the earlier existence of trade unions and the Labour party. Many of the more ideological students of international human rights still contend that “economic” human rights were introduced by the Soviet Bloc and by less-developed countries, while “the West,” so-called, focused only on civil and political rights. Reformers like Robert Owen in Britain (and briefly in America, at a failed social colony called New Harmony that he set up in Indiana in 1925) put the lie to this still common perception. It is true that the United States persecuted and deported many of its social reformers in the late nineteenth and early twentieth centuries, so that it does not have a viable left-wing, social democratic political alternative today. But social democracy and utopian socialism have a long history in most Western countries. Those whose ideological predispositions make them despise “the West” as full of colonizers and exploiters would do well to read Light’s history of her own family to find out what life was like for most British people. They should also be more aware of reformers like Owen.